There was a Jupiter that was stolen from RW in Bimini and ended up in Freeport hitting a seawall as the thieves jumped ship. Jupiter took the boat back and rebuilt what was needed to new specifications. It was NOT under warranty as it was considered an insurance claim. The idea that it cannot be fixed and will not be fixed by Jupiter is just a bunch of arm chair keyboard jockeys talking crap. Jupiter will take care of the issue. The torque of the 425 Yamahas must be a little too much as I am sure that some other boat manufactures are going to find out. We are not talking a Crevalle failure here. redeye23 and chad.sfds like this. I am open to taking a new 43 from Jupiter and I will put it to actual sea tests and see what goes wrong. The testing period would be from April 15 to Nov 15 here off NJ. The boat will be tested thoroughly from nearshore to offshore and I guarantee if there are any issues they will be found. Does NY have a decal like in Florida? I would assume the boat is documented but I don't see a decal anywhere. Maybe one is not needed if it is registered and documented in NY. 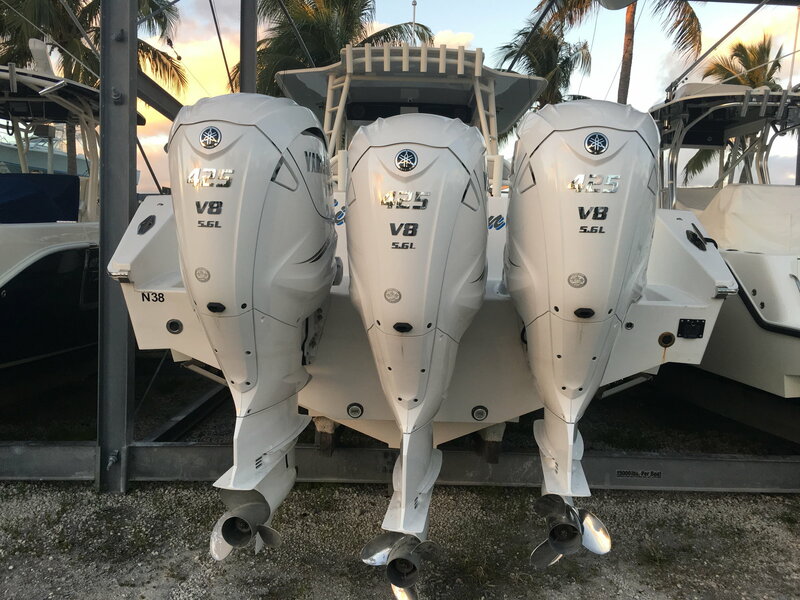 That being said, I am sure that the local dealers in the Palm Beach area for Jupiter have to love that this boat is in their backyard and someone in NY sold it to him. I guess he got one helluva deal from his NY dealer. NYS has a decal when you register a boat with the state. changes every 4 years. Very similar to FLA, just a touch bigger. That being said Im sure this boat is USCG certified there for wouldn't required a state registration sticker. I'd love to hear from the owner of the boat. I can tell you from multiple experiences that Jupiter stands behind thier product. I've done warranty repairs for them that other brands would never even discuss. I was at the factory during the infusion of the first and third 43 and they are overbuilt tanks. I can see from the photos it looks like the hull/deck joint is broken. The owner certainly has contacted the factory and will get it repaired as a top priority. I'd be shocked if the owner and engineer from Jupiter have not already been to inspect the boat themselves and make arrangements to take care of the issue, well unless the lower units are also torn up. dnh2, BOSBoatMan, FishLife and 2 others like this. Have we verbally destroyed OPs claims yet? I’m running out o popcorn and beer.. I’m going to have to go to the market. I just shot over to check out the boat as it’s right near my work. Triple 425 XTOs. 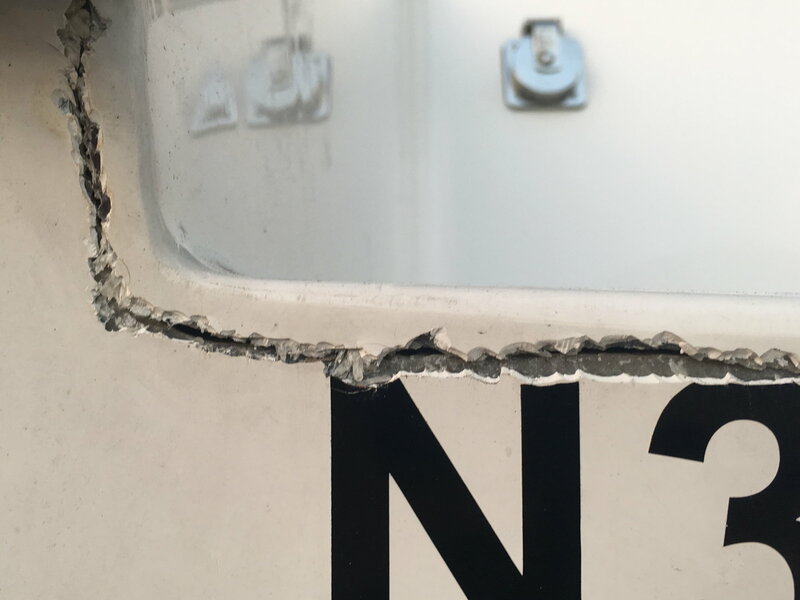 Cracks on both sides of the transom. No signs of stress around the mounting brackets. It is a beautiful boat and I have always liked Jupiters. Hope they can work things out. Look at the rust. Is that the Gen. exhaust? How's the generator? Any water intrusion? I thought I read he bought the boat up North, has a residence up North, and is down South for winter? Jupiter was offering to have his other boat that he left up North brought down South for winter so he had something to use while the boat was being worked on. Who gives a crap what the local dealers think? I think its off topic for this thread. You just build a million dollar house, there are some structural issues. Do you fix them or give the guy his money back? If there is a significant chance of the "house" coming apart in the middle of the Ocean, I vote for refund. JoseG and Reel E like this. Many companies have an agreement with their dealer network that they can sell out of state to existing customers. My guess is he’s from NY and has another Jupiter that he bought and registered up there and contacted his dealer about buying another one for Florida. Many times they would want you to stick to the original dealer since there is a prior relationship and he was obviously happy with the first transaction. OP was looking for information, he had no claims. I run a 93 jupiter 31 that is on its second set of engines. Very minimal spider cracks in a couple areas but other than that she feels more solid than a lot of new boats I've ridden on. Just because one flagship model has a major issue does not mean the entire fleet does or even the same model will. It looks like jupiter is trying to make good on their warranty. I don't believe he should get a full refund just because it cost x amount. I would be very hesitant with a fixed hull, pleased with a new one. If he didn't expose his boat to social media he could have always gotten it fixed and sold it. Yah , just some putty. I'm surprised the 5200 crowd didn't step in. Seemed like he was bashing the selling dealer as much as Jupiter, I was thinking maybe NY dealer was the only one with one available? If you need unbiased crew to assist in these tests, I will bite the bullet and go with you. Oh, they made an appearance. Pretty good deal as this boat is advertised as 900's all day long. As a lawyer and a multi time new boat purchaser, I agree that something odd is going on here. 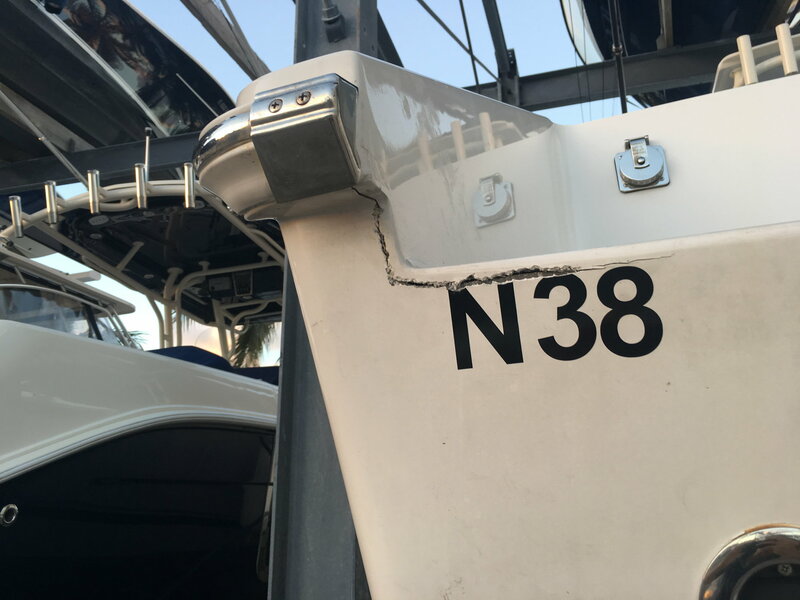 Now EVERY new boat will have a punch list of issues on delivery, including some that really are inexcusable given the quality control that should be in place at any decent manufacturer. 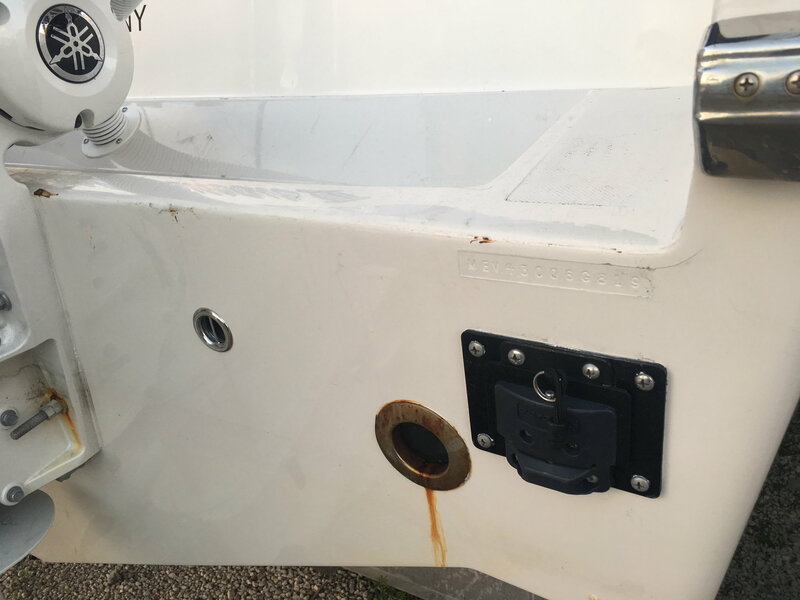 But they still occur on every new boat, and a new purchaser has to expect this. Sure, it's nice if the dealer checks out the boat in advance and catches most of the items, but that often doesn't happen. So you have to expect some glitches. But these photos don't show some minor glitches. They show some major structural problems that the manufacturer and dealer need to immediately address. Now who knows what the interactions between the buyer, the dealer, and Jupiter have actually been so far? But the bottom line is that boat surely looks to have some serious problems that must be fixed in the factory. The buyer needs to have his own surveyor (he seems to have one) and a lawyer to protect his substantial interest. One would expect Jupiter to do what it needs to do to rectify the situation. 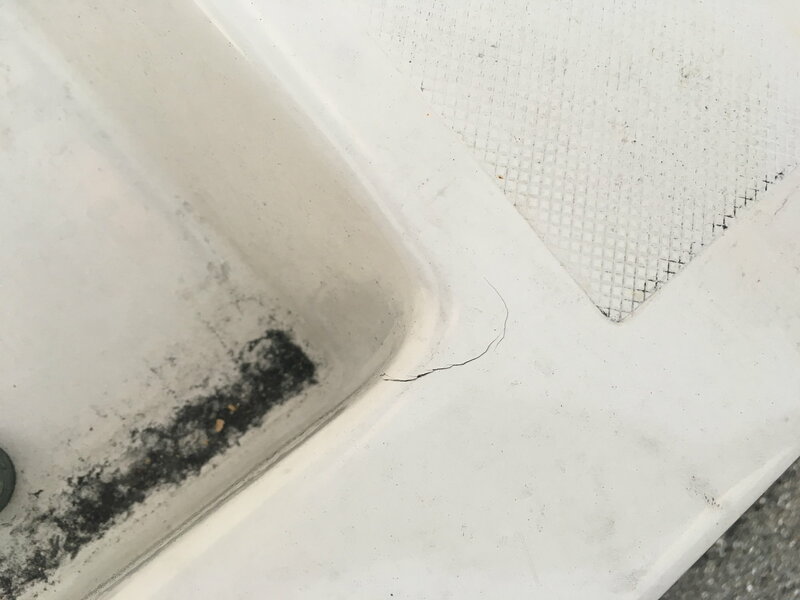 Although the photos look bad, maybe the repairs can be made to make the boat as good as new. The buyer is entitled to a top quality brand new boat -- nothing less. If it can't be, he's entitled to a refund. Simple as that. This buyer is not a whiner. Anyone dropping $750k would be going nuts if his boat showed these signs of damage in less than 50 hours. Good luck fella. have me questioning the stringers as well. Seems like the whole boat is flexing or warped. You know it's a bad day when you're swimming in the bilge. Wow, That is not good no matter what the situation.